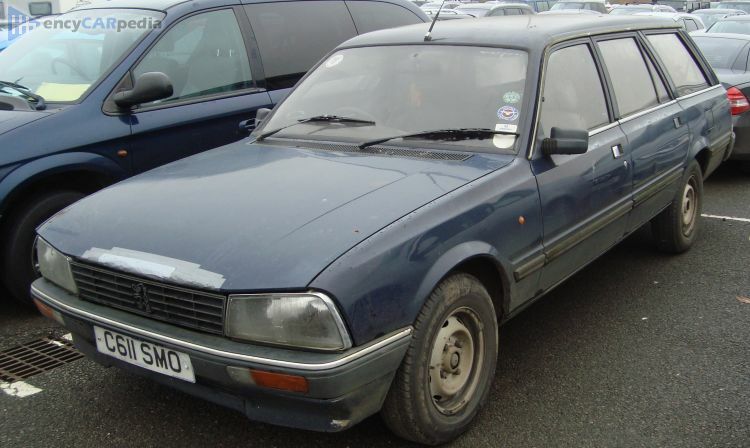 This Peugeot 505 Break GLD, GRD was produced from 1986 to 1990. It's a rear-wheel drive front-engined large estate with 5 doors & 5-7 seats. With 69 hp, the naturally aspirated 2.5 Litre 8v Inline 4 diesel engine accelerates this 505 Break GLD, GRD. It comes with a 5 speed manual gearbox. Luggage space is 2240 litres.